The Chamber Cleaver Mouse is a breed of mouse found in the Bristle Woods Rift. It is the Rift counterpart of Realm Ripper Mouse. The Chamber Cleaver Mouse has been found to be especially attracted to Runic String Cheese, to the point that any other kind of cheese will simply not suffice. Only Rift type traps are effective against Chamber Cleaver Mouse, all other power types are ineffective. Chamber Cleaver Mouse can only be attracted upon clearing 20% of the loot counter in Gearworks, Ancient Lab and Runic Laboratory chambers. 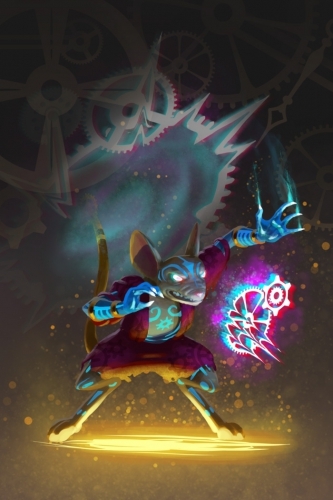 31 May 2017: The Chamber Cleaver Mouse was introduced as part of the Bristle Woods Rift release.